Happy Holidays to everyone of you who have taken the time to read our coastal blog during this busy holiday season! 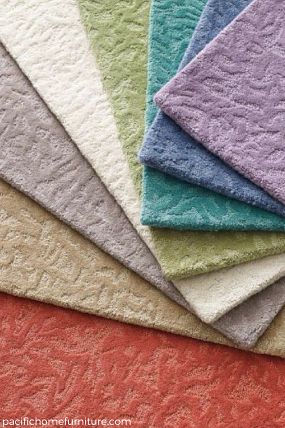 Get your home ready for the holidays with new decor or a new rug! Festive pieces to add to your existing red Christmas design that make a big impact! 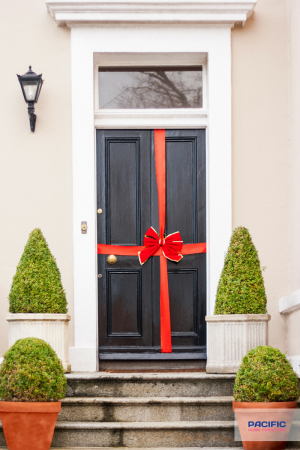 Your front door is the first place you want your guests to feel the warmth and festivities of the season. Instead of a wreath keep it simple, yet festive, with a big red bow and a ribbon wrapped front door. Nothing says, Merry Christmas more than a warm and cozy red wool rug greeting your guests as they enter your entry foyer or great room. See the red color along with other great colors for this rug here or in the image below. Red can be the focal point for a white place setting. 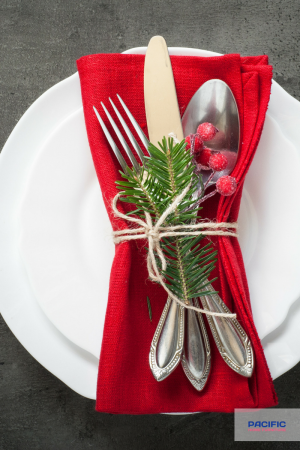 Use a red clothe napkin, place your silver wear pieces, a small twig of evergreen with frosted berries and wrap with twine ribbon. Simple, yet has an elegant design. 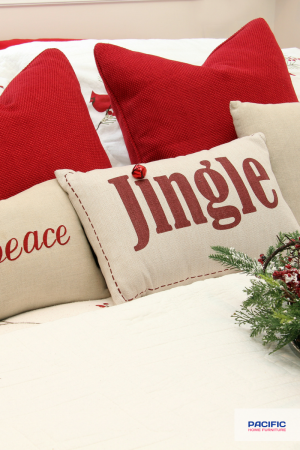 Add pillows of different sizes with words of holiday cheer on them to dress up your bed. 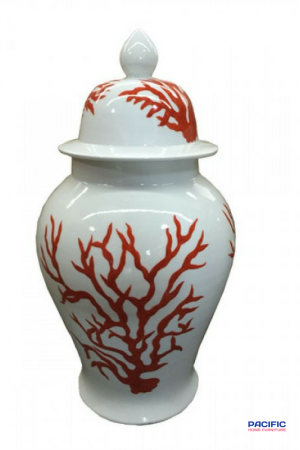 Shop Pacific Home Furniture's vase with a red coral design. Add two to a mantel. We are sure they will be a magnifcent standout. 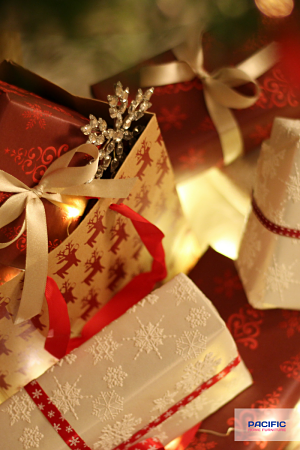 Wrap your gifts in the prettiest red and white wrapping paper, bows and ribbion you can find! So, festive and very pretty under the tree. 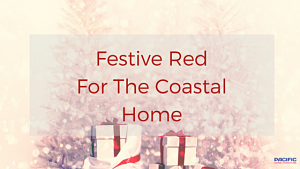 Using red in a coastal home is simple and beautiful and adds a festive look to the season. Have you used red to decorate for the holiday? We would love hear from you with your thoughts and ideas for decorating. Contact us below on this blog or here, contactus@pacifichomefurniture.com. We appreciate you taking the time to read the Coastal Blog of Pacific Home Furniture. DISCLAIMER: All the beautiful images in this blog may not belong to Pacific Home Furniture. We do not claim those images unless you see our logo. We always give credit to the image with a link to follow.